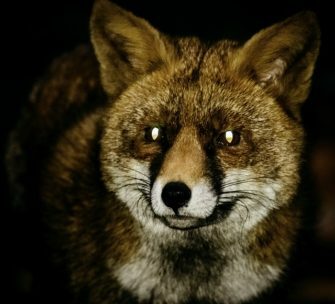 It’s been very many years since an urban fox was something out of the ordinary in Essex. At the right time of year between Southend and Leigh I might see half a dozen; you can see them along the seafront at night, they go after crabs and birds at low tide. This is a recording from the Elm Road Farm, that stretch down by The Elms pub with plenty of gardens. The good thing is, if you hear one start it will carry on for long enough to sort yourself out. I have got other recordings but this was much closer. This was about 10.15 in the evening and you might also be able to hear the London Road (A13) traffic in the background. At night time in nearby Leigh Hall Road, Canonsleigh and Dawlish Drive you can come across badgers but they don’t really make any noise other than their claws on the concrete as they’re quick to run off to the alleys that lead to back gardens.